Q: How many sizes of lop eared rabbits are there? A: American Fuzzy Lops and Holland Lops are the smallest, weighing between three and four and a half pounds when full grown. 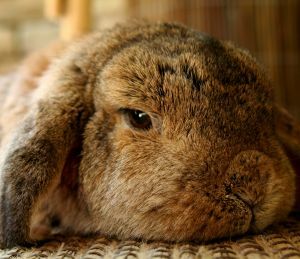 Mini Lop rabbits weigh between five and seven pounds, while English Lops usually weigh over nine pounds.